It's Complicated... It was...It is..And Will remain that way....!! 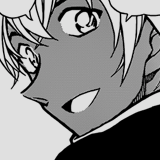 But the point is when, Kuroda and Rumi met Haibara in previous cases, there was no BO scent triggered by her. So, I don't think it is supposedly related to the BO and as dccd said, there either is a member of BO hiding, which well is a possibility, that both Rumi and kuroda happen to be at the same place together. But we definitely need something more to perfectly place our decision in this part. Tantei San wrote: But the point is when, Kuroda and Rumi met Haibara in previous cases, there was no BO scent triggered by her. So, I don't think it is supposedly related to the BO and as dccd said, there either is a member of BO hiding, which well is a possibility, that both Rumi and kuroda happen to be at the same place together. But we definitely need something more to perfectly place our decision in this part. As with Akai, as Subaru, it could be a thing that they could turn on and off. Or maybe one of them is ex-bo. Not that I want either of them to be Bo though. Though, How many times has haibara's sense been triggered. Mostly, when an actual member and that too not in a disguise is around. 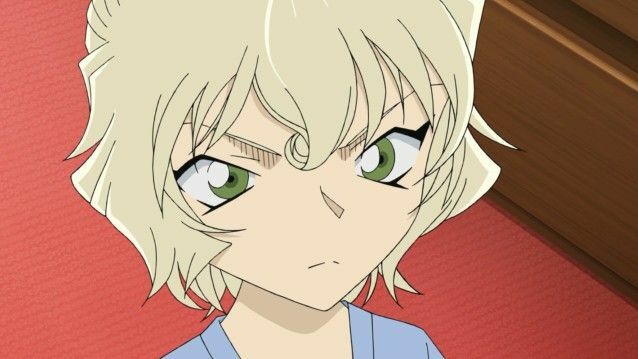 And also, In the case of that Bus hijacking, haibara was afraid of jodie and not of Araide who was disguised by vermouth, so probably her sense can be altered. Tantei San wrote: And also, In the case of that Bus hijacking, haibara was afraid of jodie and not of Araide who was disguised by vermouth, so probably her sense can be altered. That's incorrect. It was from Vermouth. 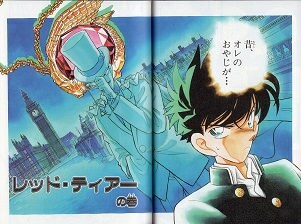 Gosho was trying to mislead us and make us think it's because of Jodie. To make it clear, to date, Haibara has only reacted to someone who's currently in the BO or was in the BO in the past. Also, it's not something someone can turn off and on. She did explain what it was in the Bus Hijacking Case - it's a sort of 'smell', a scent that only members of the Organization have. And apparently, it is not something anybody could turn off/on, considering Shuichi still has it. Last edited by Shinichi-Kun on February 12th, 2017, 4:53 am, edited 1 time in total. Well, Okay. So she did react to anyone who was related to BO. so definitely there was something/someone to whom she was triggered by. I will wait for the file to come, before I pounce on and give another irrelevant theory. 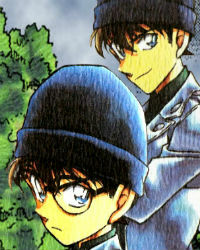 Shinichi-Kun wrote: Also, it's not something someone can turn off and on. She did explain what it was in the Bus Hijacking Case - it's a sort of 'smell', a scent that only members of the Organization have. So ur saying the "smell" cant be turned on/off. Since Ai didnt smell anything when Rumi was exactly behind her (CH 966 P5) - you´re basically saying that Rumi cant be the source of that smell. Either you "smell all the time" or you can (conciously or not) turn it on/off. Well, who's to say Haibara unconciously 'forgot' to "smell" BO members like in the Kiichiro case? Maybe she's gotten kinda used to happiness and all but somehow it got triggered again. Might as well be some BO members hiding somewhere or so. I'm just grasping at straws here, really. Right now there's nothing else we could do other than speculate. I personally have this theory that she can only sense people she has met in her past, whether Shiho was aware of them or not(as a baby). It explains all the inconsistencies in terms of which BO member she senses and which she doesn't. Bourbon is the only unconfirmed part in this theory, but it's very likely that he met Shiho when she was a baby(since Elena was planning to leave in Rei's flashback, which should have been some time after Shiho's birth). As for the on-and-off moments... the only straightforward answer we have gotten is her comment in 856, where she indirectly said that she has completely let her guard down after her fake death in Mystery Train, and thus wasn't able to sense BO-danger. The Subaru shenanigans(before 824) was also left ambiguous, where it was never explained why Subaru's "BO stench" turned on and off, and we could only assume that it was a shift of Subaru's mood/intent, which really doesn't go well with her first explanation about her sensing a "smell". Either way, for her to be able to sense BO members again, she will have to be on her guard again, like, let's say, Conan warns her about something. Going by this thought process, Kuroda can be crossed off as a suspect, since Conan did mention Kuroda, and his potential threat, to Haibara, before she met him and reacted without sensing anything(unless the Subaru-inconsistencies suddenly plays a role). 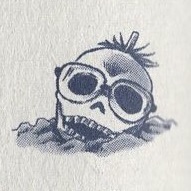 If my theory holds however, then Kuroda can't be crossed off because she hasn't met Rum(as far as we can assume), which in terms would mean that she won't be able to sense him, like Numabuchi. Since we´re nearing the end (ok, still 5-10 years to go ) i would favour the aspect of not smelling every member. If we assume that she can´t and won´t smell Rum - due to whatever reasons - than any char as the soccer guy, Yonehara and other are in the race for being Rum (again). Well... a lot of possibilities.. lets wait and see. dccd wrote: If we assume that she can´t and won´t smell Rum - due to whatever reasons - than any char as the soccer guy, Yonehara and other are in the race for being Rum (again). That means we are back to square one?? Mod note: please avoid using strong wording if you can. MeiTanteixX wrote: I personally have this theory that she can only sense people she has met in her past, whether Shiho was aware of them or not(as a baby). It explains all the inconsistencies in terms of which BO member she senses and which she doesn't. Bourbon is the only unconfirmed part in this theory, but it's very likely that he met Shiho when she was a baby(since Elena was planning to leave in Rei's flashback, which should have been some time after Shiho's birth). Rei is currently 29. In your theory, had Shiho been born (18 years ago) then the Rei in the flashback would be 11 years old or older. To me, that Rei flashback in the tea hospital case came across a bit differently. We know that Elena told Rei that she would have to go away soon. I feel like that was supposed to be a lead in for her appearance at the Dejima household (Atsushi's old house) 20 years ago where it looked like they had run away from the BO and were hiding. If the two events are connected in this way, Rei would not have been able to meet Shiho as she would not have been born until around 2 years later. If Rei is currently 29. Then he would have been roughly 8~9 at the time of his Elena flashback in this theory. Plus, in Mystery Train, when he thinks he is talking to Shiho who is really Kaitou Kid, he says "Hajimemashite" (File 823 second to last panel), which is usually used for first time greetings as "Hajime" means "first". Which he then follows up in file 824 by saying that he has met her parents and sister, but never includes her in that thought. MeiTanteixX wrote: The Subaru shenanigans(before 824) was also left ambiguous, where it was never explained why Subaru's "BO stench" turned on and off, and we could only assume that it was a shift of Subaru's mood/intent, which really doesn't go well with her first explanation about her sensing a "smell". For the longest time I always wondered if the idea that it was a smell was literal, such as Gin, Vermouth, and Akai all smoking the same kind of cigarette only available to BO members or something weird like that. Or maybe a special location they had been to had caused them to smell a certain way (such as someone who works in an car repair place may smell like oil). However both of those things sound like something that Conan could still figure out since he had been in close proximity to them. But the whole Okiya stuff did make it seem much more like some kind of aura that activates when he is being "intense" in some way, which would be a bit weird since regular murderers should give off something similar when poised to attack. jimmy_kud0_tv2 wrote: Rei is currently 29. In your theory, had Shiho been born (18 years ago) then the Rei in the flashback would be 11 years old or older. Your argument is basically that Rei looked too young to be 2 years older. It's hard to really pinpoint someone's age when u have only one panel to go with(Shuukichi, in the Akai flashback, and Mary's different heights is a clear example that one panel can be deceiving). Also, we didn't have anything to compare his height with, and it's an overkill to assume Elena's height when we don't officially know it. It makes more sense that they were simply visiting with the pretense of meeting a friend, while being watched by the BO(when in reality, Atsushi wanted to discuss with Dejima about his situation). Elena's and Atsushi's submitted behavior(just staying put and not even stopping Akemi from fooling around), as well as Atsushi looking outside the window, made it seem like they didn't want to overstep their boundaries, meaning that they knew they were being watched, and I don't see why they would act that way if it wasn't the BO. If it was the MI6 for example, why even bother visiting Dejima and involve him, when they already got help? Also, they allegedly died in a BO laboratory that burned down. That means that they must have still ended up in the BO somehow(if they had fled), so Rei could've still met Shiho during that time. jimmy_kud0_tv2 wrote: Plus, in Mystery Train, when he thinks he is talking to Shiho who is really Kaitou Kid, he says "Hajimemashite" (File 823 second to last panel), which is usually used for first time greetings as "Hajime" means "first". Which he then follows up in file 824 by saying that he has met her parents and sister, but never includes her in that thought. That's not an incorrect choice of phrase, considering that that it was a one-sided meeting in the past, making this moment the first formal and proper meeting with her(if he indeed was in her presence when she was a baby). He didn't have to include her because they never formerly met in the past, compared to Akemi, who he must have met properly, since she knew about his rivalry with Rye. jimmy_kud0_tv2 wrote: For the longest time I always wondered if the idea that it was a smell was literal, such as Gin, Vermouth, and Akai all smoking the same kind of cigarette only available to BO members or something weird like that. Or maybe a special location they had been to had caused them to smell a certain way (such as someone who works in an car repair place may smell like oil). However both of those things sound like something that Conan could still figure out since he had been in close proximity to them. I've also wondered about its possible literal, or at the very least "scientifical", explanation. One of the best treats Gosho could give us is a well planned-out logical explanation to the source of this "ability", and the reason to its inconsistencies. The closest thing I came up with is that Maybe it's an ability that's inherited from her mother's British side(meaning that it's a sci-fi explanation). Her mother was maybe able to sense people's intentions through their "smell"(still an ambiguous term, but maybe referring to "intent"), hence why she wanted to leave the BO in the first place(she knew that an "accident" might happen, after smelling the mastermind's intentions, if they stayed for too long). The inconsistencies in Haibara's ability might be because she still hasn't fully grasped the ability, and she has only been using it subconsciously(which follows the pattern I mentioned before). And if we add Mary into the mix, maybe her strong bias against Conan might be due to her sensing his "scary" strong intention to catch her without second thought, hence why he's different and a potential danger(demon). Akemi didn't have this ability because she might not even be Elena's biological daughter. Again, just a stretched out possible explanation based on nothing but the off-chance that there actually is a legitimate explanation. I still like that BO sense, regardless. 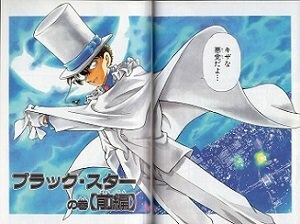 But yeah, it'd be nice if Gosho could give us an explanation finally. I'd be okay if he did so in an interview, but soing it in the manga would be nice as well.